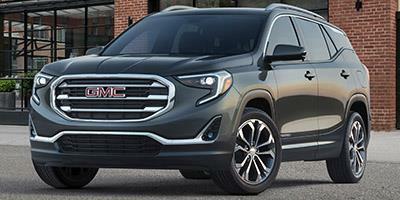 Be the first to review this 2019 GMC Terrain. The Insurance Institute for Highway Safety gave the 2019 Terrain top "Good" scores in all tests, including the passenger-side small overlap test. Frontal crash prevention ranked “Superior” (with optional equipment). Headlights were rated "Poor." Behind the wheel, the Terrain feels somewhat small, but yields a calm, composed ride - even through imperfect road surfaces. Because GMC tuned the luxury-level suspension for a composed ride, even the Denali’s bigger tires don’t impair comfort.